Su Seau Yeen has always had a passion for baking. It was to a point where she was willing to leave her career in IT to focus on being a supplier of cookies and cakes. She also had a penchant for making trips to orphanages to donate some baked goods and this generous act gave her the idea to start teaching young orphans how to bake so they could use that skill to start their own business or secure jobs in the future. But then her shift focused to another community that desperately seeks for help and started up an organisation specifically in aiding these women. In the November of 2014, SimplyCookies began. 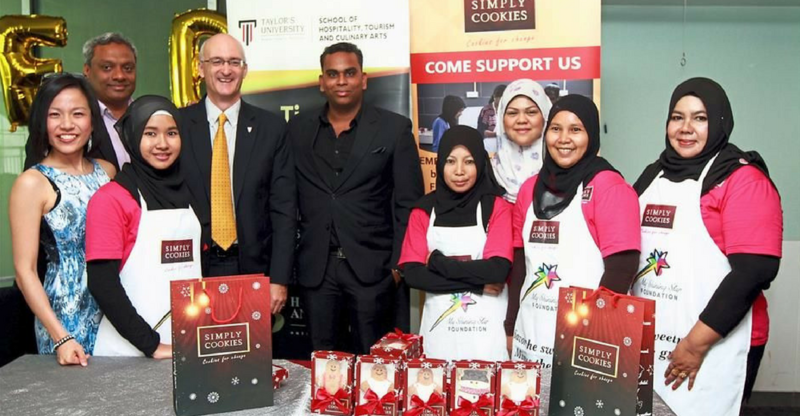 SimplyCookies is a social enterprise that empowers single mothers through baking. In 2014, Seau Yeen—or as she calls herself, Sue—saw a social problem that stuck out a lot. She noticed how single mothers would make the decision to leave children at the orphanages because they couldn’t afford to look after them. So to help combat this problem, Sue decided that a method she could use to help was by teaching them how to bake cookies for free in order to provide them with job opportunities. Aside from training them, Sue also helps by providing the baking equipment, ingredients supply as well as aiding with the sales of baked goods. 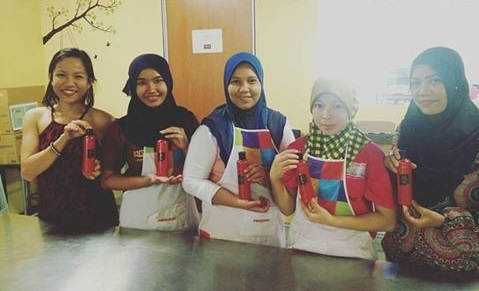 The kitchen originally housed 2 single mothers but currently, she teaches about six single mothers who would sometimes bring their children along for class in their children-friendly kitchen. Simply Cookies was originally funded by Sue’s baking class for children called Les Petit Chefs, as well as from her personal catering of meals and baked treats. Her current goal is to look for more cafes and corporations that are willing to work together with her enterprise to supply cookies so that she can sustain her social enterprise and provide an income for the mothers. What’s In Their Cookie Jars? SimplyCookie has quite a range of cookie flavours. They have the common ones such as double chocolate and peanut butter flavours and some with unique local twists for the more adventurous type such as durian cookies which has been quite a crowd favourite. Others include cempedak, lychee, to pu er tea, chai tea and green tea. 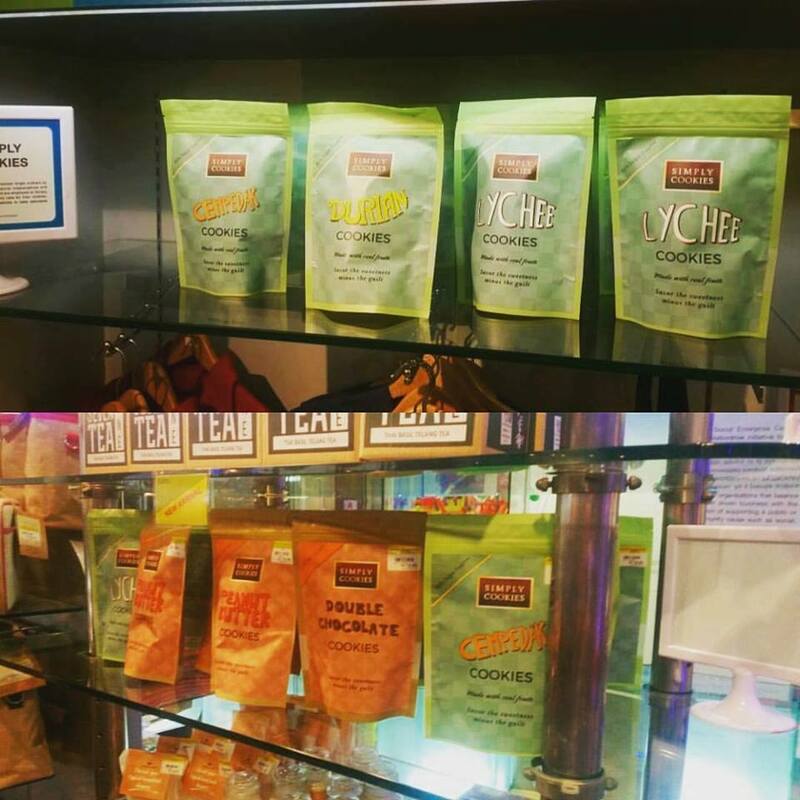 Their cookies are priced at about RM9.90 and can be found in certain physical stores around Kedah, Penang, Ipoh and the Klang Valley area at Jaya Grocer, Ben’s Independent Grocer (BIG), Sam’s Groceria and Village Grocer. 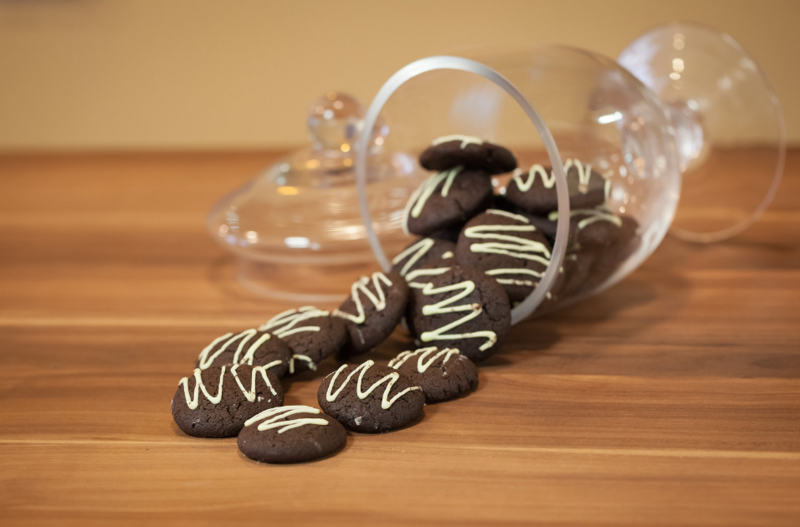 Their cookies are also found online through sites such as 11street. Besides their permanent range, they have done seasonal cookies such as Chinese New Year and Christmas themed. SimplyCookies also occasionally handles fundraising events with universities and schools to get students involved with their cause and has met with success. They’ve managed to sell over 1,500–2,000 cookies through these events and hope to continue these efforts in upcoming years. Sue has mentioned in interviews that teaching single mothers how to bake and providing them with the baking equipment is the easy part. The actual challenge is being able to sell and market the baked goods. So in order to further expand her reach, she has been attending many events and talks to promote her brand while working with contacts to provide the mothers with financial lessons on ways to save for their children’s future. One particular cool part about Malaysian social enterprises is their drive to work together for the same goal. SimplyCookies has found themselves working with others such as SevenTeaOne and Good Hijab who each have their own goal but share the similar cause in empowering society. 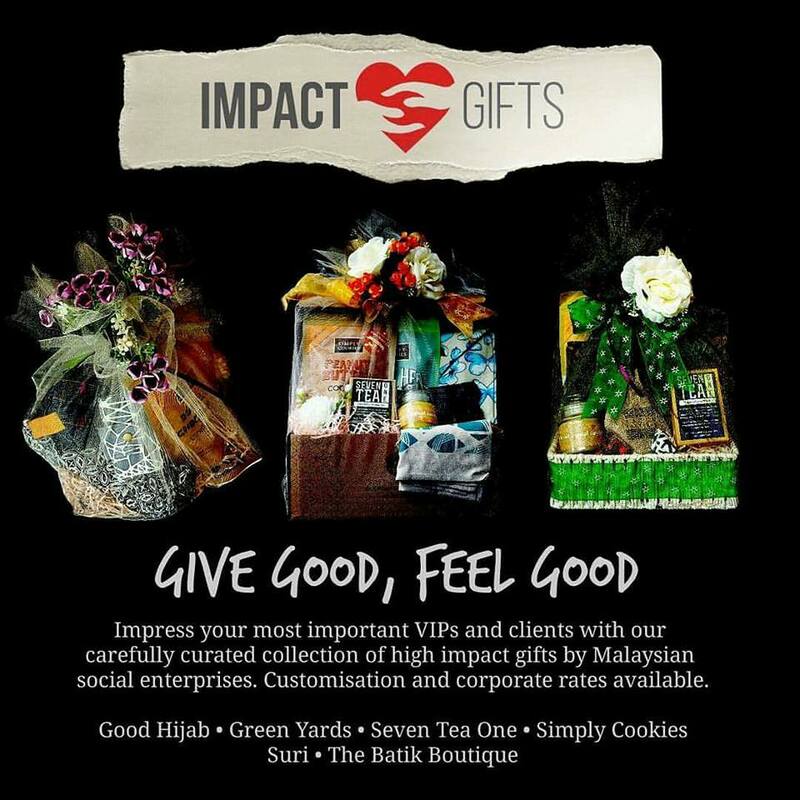 Their current achievement is by creating a hamper that includes each of their products which they package primarily for corporates that act as gifts. “It’s nice to see that this enterprise is helping females out there but there must be something out there that can get responses. Single women out there need more empowerment to make them feel like they can still make a living despite raising a family alone so in the end, I think this enterprise is really making things work out for them,” said Sue.